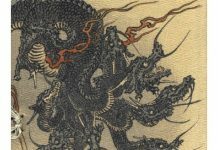 Kozuchi. 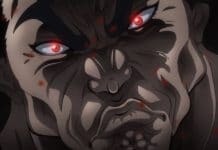 As Kozuchi was close to Onoki he plans on creating an artificial shinobi who could protect his people. 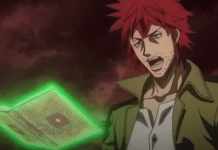 Things get clear when we see Onoki reading Kozuchi’s book and since then he is under a mission to make an army to protect his people. 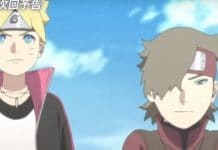 Boruto Episode 87 is titled “The Sensation of Living” which describes a lot about the Episode. Before we talk about Boruto Episode 87, let’s gather some valuable information from Episode 86. The last episode confirms that the once behind everything is the Scientist. Onoki tells the whole story how the scientist and he create the core team and Akuta. 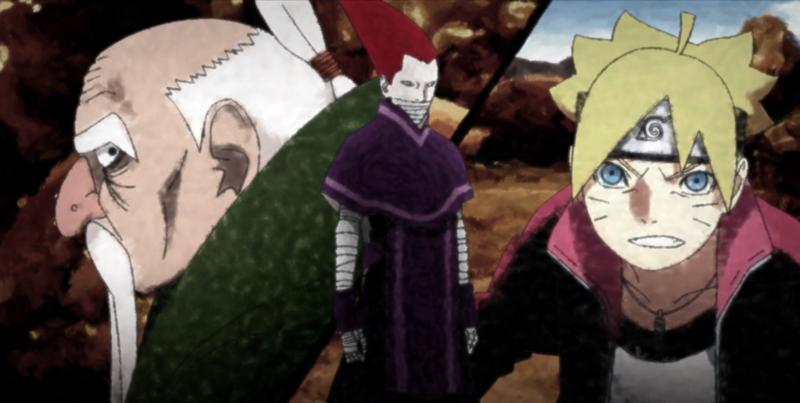 One of the biggest secret that Onoki shared with Boruto that they are using White Zetsu’s cells to create the army. Onoki reveals that Mitsuki is the perfect Synthetic human and he is the only one who could make this happen. 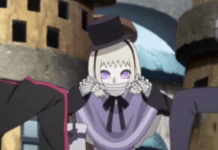 On the other hand, KU is about to kill 5 shinobis and use their heart to extend their life. By the end of the episode, we saw Kakou’s appears and this brings the battle between Boruto and Kakou. 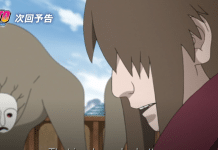 In Boruto Episode 87 we will be seeing Boruto fighting with Kakou and this is the time when Onoki will realize his mistake. During their battle, we will surely see how Kakou revels his will of living. After knowing Kakou’s will of living will make Onoki realize the mistake he has done. There is a huge possibility that Onoki will involve in a fight with and save Boruto and will go to his village to stop Ku. On the other hand we will see Kirara fighting against Sarada and Others. This ensures that Boruto Episode 87 is full of fight and action. Whereas Shikadai is the concern, we might finally see him getting captured. 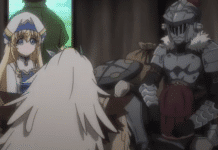 There is a huge possibility that Konahamaru might appear in this episode. 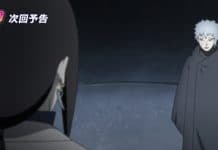 Preview of Boruto Episode 87 clearly shows that the whole episode is going to have an action pack. The last episode of the year, Boruto Episode 87 will get its release on 23rd December 2018. 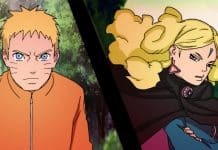 Boruto Episode 88 will become the first Boruto Episode for 2019. If you have anything to share about this episode, feel free to put your thoughts in the comment below. Boruto Episode 87 will gets its release on 23rd December where we will see a battle between Boruto Kakou and this episode will be last episode of Boruto in 2018.